1. Make sure you have BeyondPod app installed on your phone. 2. Click the Podcasting link found in the top navigation of this website. 3. 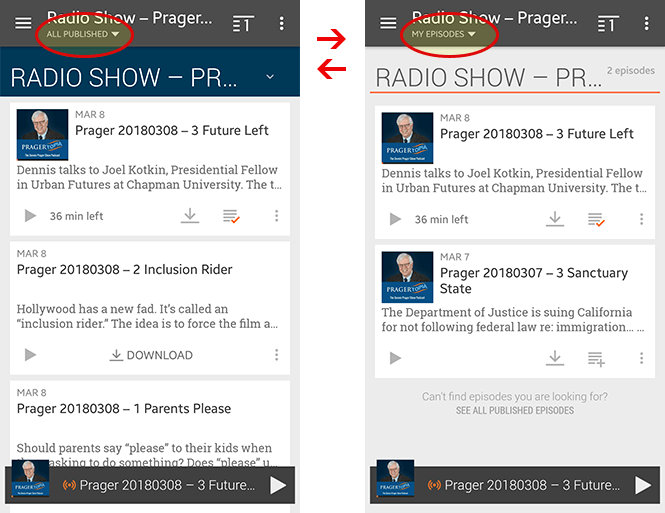 Copy your unique feed URL under the “The Dennis Prager Show Podcast Feed” heading (be sure to copy the whole URL – including the random numbers/letters at the end of it). 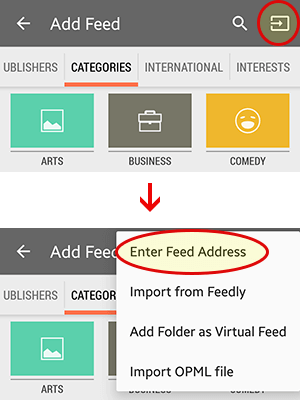 You can easily copy your entire feed URL by clicking the COPY URL button. 4. Open the BeyondPod app and make your way to the opening screen which usually looks like the picture below. Click the menu button in the left hand corner of the screen. 5. 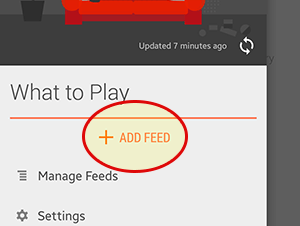 Click on ADD FEED. 6. Click the top right corner icon. Then click ENTER FEED ADDRESS. 7. Next you will need to paste in your feed URL you copied earlier. 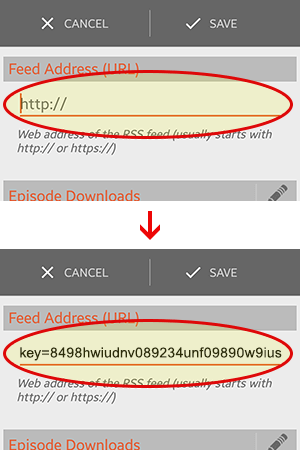 Make sure you have the cursor in the “Feed Address (URL)” field and paste your feed URL here. It should fill in the filed with the long URL that contains your unique feed key at the end. Click SAVE after this is done. 8. 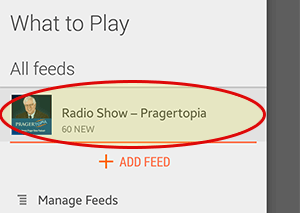 You should now be back on the menu screen that shows the Pragertopia podcast under the “All Feeds” section. Click on this link. 9. You should now see a list of episodes. Click on the play button next to the podcast episode you want to download and listen to. 10. 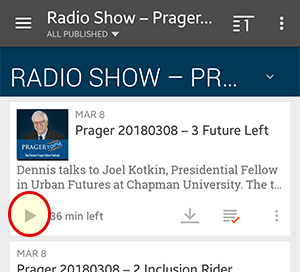 You can toggle between podcast episodes you have downloaded and the complete list of episodes from the feed. This feed will continue to update as long as your membership is active. 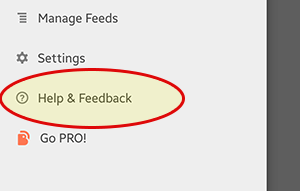 If there is any other functionality you wish to know about outside of adding your feed, for this particular app, then you will need to contact their help section. There is a link to it located on the menu screen of the app.